We each have a story to tell, a story composed of a collection of life experiences both good and bad. Propelled by Faith, the experiences can be a source of wisdom for the journey if we let them, giving one the grace and courage necessary to take the path less traveled. Tonya Harbaugh’s life is no different. Her story is a compilation of moments, both beautiful and challenging that have come to shape her future. Armed with a strong Faith, the twenty-five-year-old has made the conscious, countercultural decision to save herself for her future spouse. By the grace of God, Tonya’s mom chose life and her grandmother welcomed her with open and loving arms. Tonya lived with her grandmother who cared for her until her mother was honorably discharged from the Army when Tonya was six years old. Tonya grew up in Sheboygan, Wisconsin, attending Holy Family Elementary School until eighth grade. 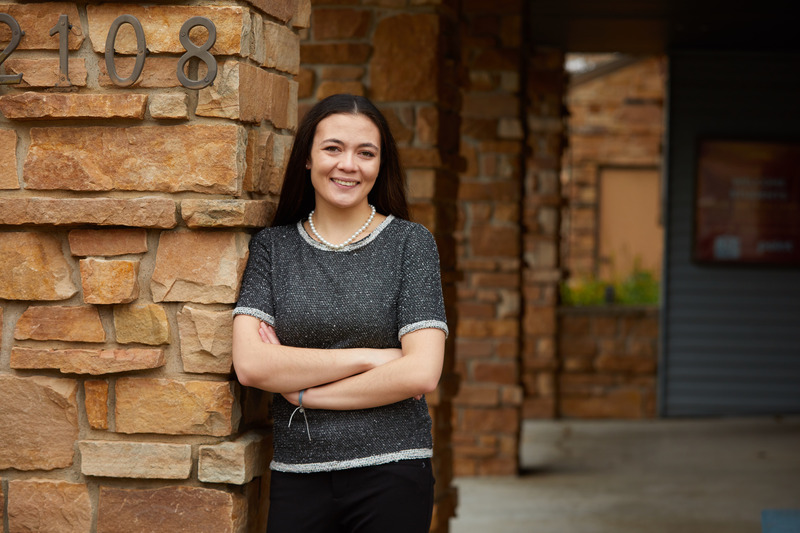 Living only a couple blocks from the public high school and with her family financially unable to send her to the closest Catholic high school forty minutes away, Tonya struggled with the thought of her Catholic education coming to an end. One of Tonya’s greatest blessings, she says, is when her best friend’s mother encouraged her family to enroll her in Roncalli Catholic High School in Manitowoc. With a sponsorship the school offered, financial hardship wouldn’t be an obstacle to her attending. “I flourished at Roncalli,” Tonya ﷯recalls. The support and catechesis she received there, kept her on track. Tonya’s mother went on to have two boys, one when Tonya was two and one when she was twelve. Her youngest brother was born ﷯into an exceptionally difficult set of circumstances, so Tonya was involved in helping raise him. She recalls her own loving, nurturing personality balancing her mom’s stricter military style in parenting her brother. Tonya still shares a close bond with all of her siblings, especially her youngest brother, Timmy. Additionally, Tonya’s sister had a teen pregnancy which enlightened Tonya to the joys and struggles she endured as a young, unmarried parent. Tonya was able to aid her sister in raising her niece. After high school, Tonya attended the University of Wisconsin –Stevens Point, where she graduated last spring. During college, Tonya was involved in track and various other student organizations. She found community and a place of refuge at Holy Spirit Parish and the Newman Center where she became and continues to be very involved. She can be found volunteering and assisting in any capacity she is needed including ushering, serving﷯ and lectoring. She is also part of the RCIA team and assists with religious education. Tonya’s outgoing personality naturally becomes a source of welcome to parish guests. Living in Stevens Point and being away from home allowed Tonya to spread her wings and learn to find her own way apart from the life she knew growing up. The networks she has built have made her a part of many families whether it be through nannying, volunteering or just being a listening ear. Making it a point to see Jesus working through all those she encounters daily, she has formed relationships and received support and aid from unexpected places during her college years. College was also a time of vocational discernment for Tonya. Feeling a particular call to marriage and motherhood, she has weathered the dating scene. “I am very up front and honest with male suitors, so that we don’t waste each other’s time,” she explains of her experiences. Standing strong in the face of temptation is not easy especially in a culture that too often champions immorality and impurity. Tonya is the first to admit that. But she has had great mentors along the way, especially her grandmother and her best friend and confirmation sponsor, Mary Bettag, now Sister Mary Theresa (whose mom was instrumental in securing Tonya’s Catholic high school education). The whole Bettag family has become a second family to Tonya, especially through her tumultuous early years. Tonya’s other great support has been found in her Faith. With a special devotion to St. Maria Goretti, she finds strength in the story of the saint’s courage. She also finds solace in the Eucharist. During a semester off from college at a particularly difficult time, Tonya was struggling with the absence of her father from her life. She had some great men, like Mr. Bettag, step up and give her glimpses of what having a father would be like, but it wasn’t until she received the Eucharist one particular day at Mass that she really felt the person of Jesus envelop her like a hug and perfectly fill ﷯that vacant space in her heart. She knows that staying close to the Eucharist will keep her sustained for the journey. Tonya continues to be open to dating relationships. She also has plenty to do to keep her busy and involved. Tonya remains close to her family, visiting home any time she can. Since graduating, she has served as an in-home care worker, still discerning the path the Lord is laying out for her. One day she hopes to put her biology degree to work as a NICU or OB nurse.